WOW! Few settings on the North Shore can match Polygon’s spectacular “Cates Landing”. An exclusive enclave of luxury waterfront residences- borders West side of Cates Park & is truly the jewel of N.Vancouver. This private waterfront community features Panoramic Views of Burrard Inlet while offering a truly unmatched peaceful lifestyle. Spacious 2 Bdrm+Den features hi-end finishings, 6 top-of-line appliances, spa-inspired bathrms, 9’ ceilings & oversized covered patio. Waterfront path at your door step connects to Cates Park for easy hikes, dog walks, biking & Starbucks. Amazing amenities at Cates Landing incl.Kayak Storage, Bike Storage, Gardening Room & Dog Spa. Deep Cove’s cafes,restaurants, galleries & more just minutes away. 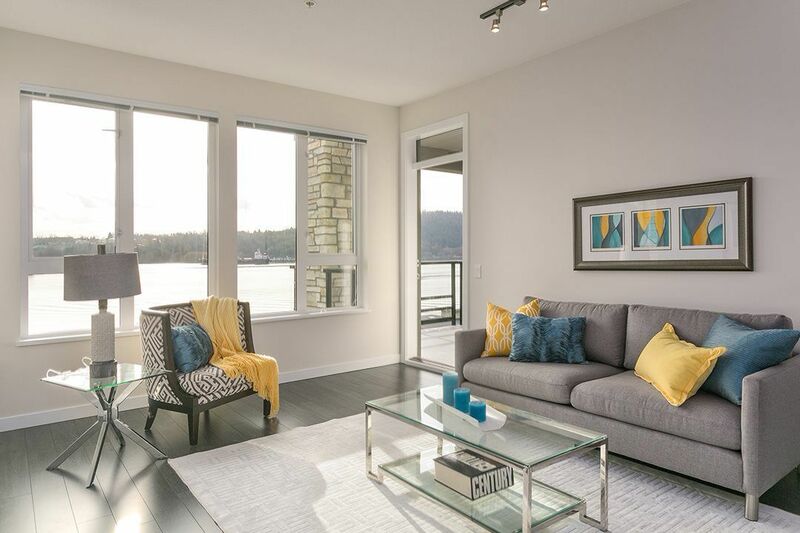 An amazing lifestyle awaits here at Cates Landing.